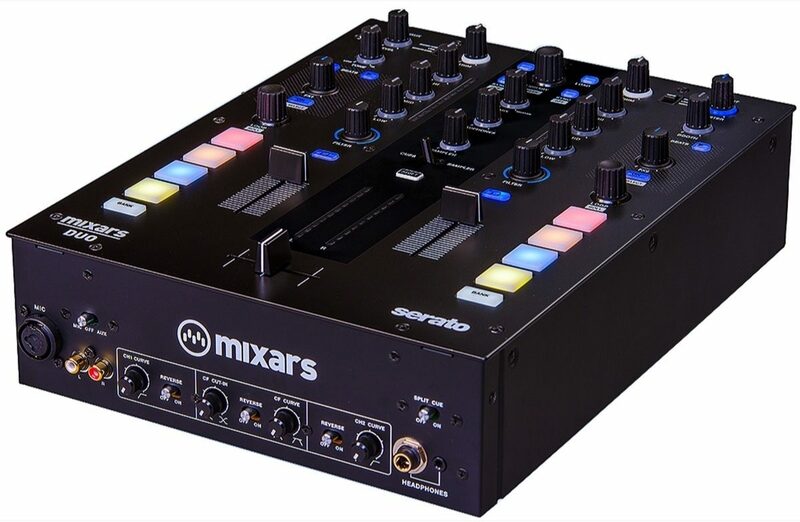 The Mixars DUO MKII is an update to the popular DUO two channel Serato DJ mixer. 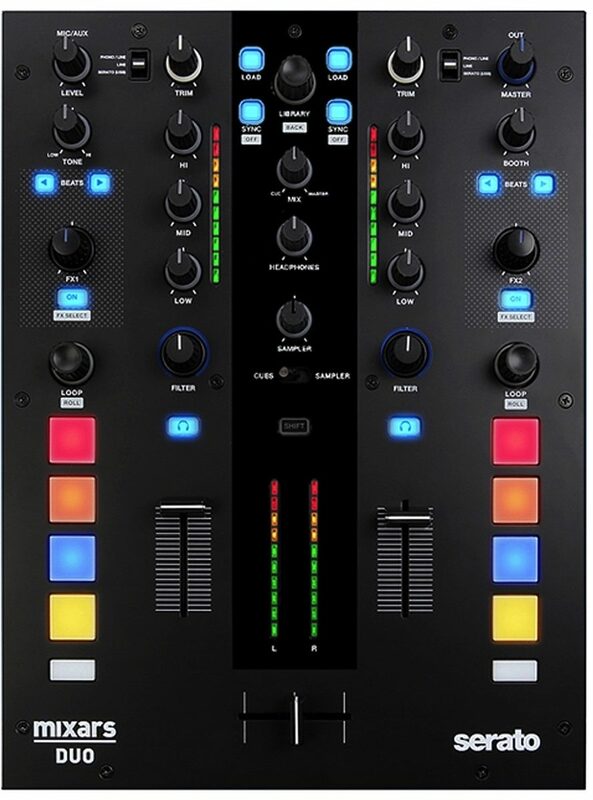 It features the Galileo Essential crossfader exclusively designed in collaboration with Pro X Fade. Made in Japan, this crossfader is built with conductive plastic technology and features razor sharp cuts for precise scratching. The Mixars Galileo Essential crossfader was designed and built for scratching. It delivers super sharp performance, and includes reverse, curve adjustment, as well as cut-in adjustment on the front panel. The fader stem is 8mm thick to prevent breaking off from extensive scratching, and the fader cap is sloped for a better grip. The Galileo Essential also offers amazing strength and durability by using cutting edge conductive plastic technology, which will not wear over time. The output section includes an XLR master output, TRS balanced booth output, and RCA Record out. DUO features a built-in, universal power supply. Each input channel includes a line input and a switchable phono/line input with ground post. A built-in USB hub provides 2 additional connections for other USB devices such as MIDI controllers or hard drives. A combo mic input and RCA Aux in are located on the front panel for easy access. 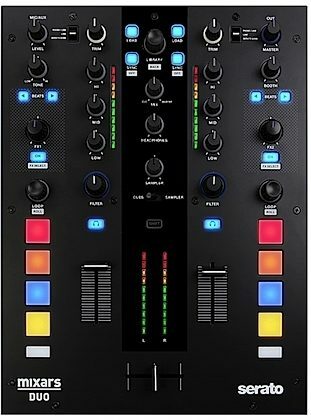 "ONE OF THE BEST MIXERS"
Overall: After doing a lot of research on this mixer I finally bought one from zZounds. This mixar worked perfectly out the box. I bought it to use for my internet radio station but now I might make it my main set up for mobile system. I like the fact that it can be midi mapped for Serato DJ & Serato DJ Pro. Style of Music: Hip Hop, Reggae, Top 40, R&B, Soca & more.